When you don’t take care of yourself, it can feel as though you’re righteously sacrificing yourself for the important work that we do as therapists. You can pride yourself in foregoing lunch to see that client in crisis. You can have your paperwork creep into the times you’ve set aside for meal prep, working out, or even for your family and friends. Self-care can feel decadent, and even expensive. Let’s look at the financial RISKS we take when we fail to take care of ourselves. Risk #1: No planned time off. Breaks, lunch, long weekends, holidays, vacations, etc. all can get steamrolled while growing your practice. This may seem like necessary hard work, but it can put you at risk for serious financial losses in the long run. A lack of creativity. It is when we get out of the daily grind that we refine our exciting new curriculum OR get the big ideas for a needed course or book that can create an alternative revenue stream. These ideas don’t happen when we have no space or time to think. Depleted resources. When you don’t ever slow down, your body screams at you with illness or complete exhaustion. Mental and emotional fatigue can cause burnout to rear its ugly head. When you don’t plan any time off, you’ll probably need to take unplanned time off (sick time, clients terminating, crises at home, etc. ), which often leads to the same (or greater) loss of income. Tip #1: Add vacations and other off time to your schedule for the rest of this year (and next year, if you can). Take advantage of planning and forethought to minimize any of the perceived downsides of taking time off. When you plan, you can minimize financial risk through rescheduling clients during short excursions or planning longer absences during the ebbs in your clinical schedule (e.g., during the summer and/or the winter holidays when many clients take vacations). When we HAVE to take a break due to fatigue or illness – we often are forced to have downtime when we’re busiest, which gives us the hardest financial hit. Don’t let “it’s expensive’ stop you. Getting away from the office does not need to be equivalent to spending huge amounts of money on travel. It CAN be a fancy trip to Europe, but it doesn’t need to be. The most important aspect of the getaway is that you’re away from work and (hopefully) unplugged enough to get the health and creativity benefits you need. Don’t wait for your calendar to clear before you schedule them. It can be easy to say that you’ll revisit adding breaks when your calendar clears. Nope. Flip forward in your calendar and add breaks and vacations now. If you wait until your calendar clears, it never will. You’ll just keep filling it in because there’s still space, if you’re anything like me. Don’t let a full calendar stop you – start these breaks for the next moment your calendar clears up. Block them out now and hold them sacred. Risk #2: Not taking time away when you’re sick. Even with the best laid plans, you may still get sick. Too many of us don’t listen to our bodies (and common decency) and go into the office anyway. This is bad for our health, but there are financial downsides, too. You get your clients sick. The obvious financial risk of not taking time away when you’re sick is that you can get your clients sick and they won’t show up the next week. One time, I came in sick and then had a client out for 2 weeks. Not only did I feel horrible about getting my client sick, but I got double the missed sessions. Ugh. Your clients lose respect for you. If you’re obviously sick and still come into work, your clients may feel disrespected because you’re willing to get them sick. And even if your motivation was honorable, they may believe you’re only there to get the money and germs be damned. 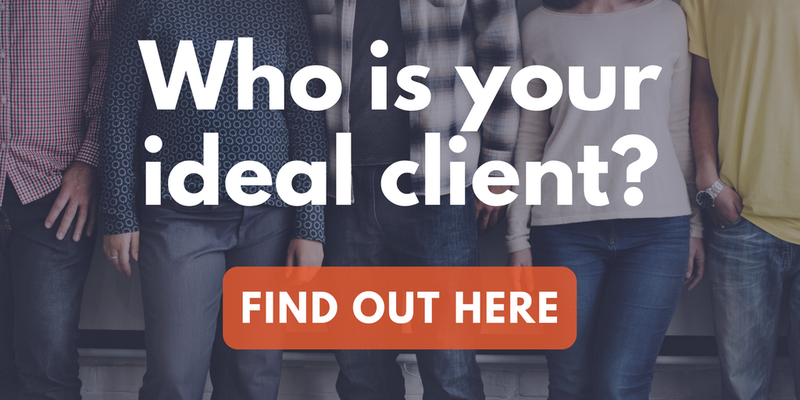 You may not lose your clients, but this kind of behavior doesn’t inspire referrals. Your clients are often your best referral sources unless they don’t trust you’ll respect the people they care about. Tip #2: When you’re sick, cancel clients. Period. It is too big of a risk to come in. AND – if you’re able to really take care of yourself while you’re out – you’re likely to have less time sick. At least that’s my experience. When I have pushed myself when I was sick, I seem to stay sick longer, making me less effective in my treatment of my clients and more likely to seem like an unprofessional mess – lessening my credibility with my clients. The world will keep on spinning for a few more days. Give yourself the time you need! Risk #3: Packing your schedule with wall-to-wall clients. Putting clients in every open spot is not a good long-term tactic, if you want to have a financially secure practice. You run late, to every session. When you pack your schedule, it can be harder and harder to stay on time. A mini-crisis with a client can lead to a few lost minutes here or there. A run to the restroom or wolfing down a protein bar can mean more lost time. When your clients see that you’re running late, they can feel disregarded or, even worse, they can feel like you’re not trustworthy. If you’ve agreed to care for them, but don’t show up when you say you will, they can stop trusting you. Unfocused, with less effective interventions. At some point, each of us has a breakdown of focus. Some of us can go straight through with 6 clients, some know that they need down time between every session. If you’re not giving yourself the refocusing and rejuvenating time you need, your mind will wander and you’ll miss stuff in session. When you do that, your clients may not get what they’re looking for and are less likely to come back. Poor response time to new clients. When you’ve given yourself no breaks, you also don’t have time to return calls promptly. When we answer our own phones, we need to make sure that we have time available for screening and intakes. If you’re like most of us, the wall-to-wall clients we’ve jammed into our calendar are not full-fee and one or two are getting ready to discharge. So, we need to keep taking in clients. When we don’t answer our phones and/or don’t call back for days, we lose potential clients. Plain and simple. Tip #3: Set a reasonable treatment schedule and vet who you put into your therapy slots. Be very thoughtful about how many clients you can see, at what times, and when during your treatment days you need to enforce breaks (to get back on track time-wise, to refocus, and to follow up on your messages). Thoughtfully moving toward your ideal schedule can help improve your clinical work, and your ability to retain and get new clients. Risk #4: Failing to invest in your own professional development. When you’re starting out or hit a growth edge, it can feel like it’s more cost effective to figure it out on your own or just power through. However, too often you miss out on other opportunities when you’re banging your head against the wall. You spend HOURS trying to figure something out. Each hour you spend trying to figure something out is an hour you’re not seeing clients or working on your practice. If you’re struggling to learn something, the more time (and potentially money) you’re wasting. You only attend workshops or continuing education that’s convenient. When you’re thoughtless about the types of training you get – read: you only attend what’s local or you only attend what you can get credit for online – you don’t grow as a clinician or as a business owner. You can get stale and, in today’s consumer-driven therapy market, you can get passed over when clients or referral sources are looking. Tip #4: Strategically invest your time and money in your future. Finding people who can teach you how to do something is not a cop out, it is an effective way to learn what to do without wasting hours lost in google or self-flagellation. It can also be important to surround yourself with people who can nurture your growth. I’m inviting you to a nurturing community. We’re starting a #therapymovement to focus on how to navigate the modern challenges that we all face. To learn how to take care of yourself effectively, so you can not only improve you bottom line, but also the way our profession works. Therapy Reimagined 2018 is happening Oct 5-6 in Los Angeles. We’re bringing together experts who can teach you how to niche, reach your clients, develop your social media, take care of yourself, advocate for the profession, and set up business systems that support you and your clients. It’s two full days and 15 continuing education units that can help you grow as a whole-person therapist. We’d love to have you join us! Head over to the TherapyReimagined conference site to register or learn more. Katie Vernoy, LMFT, helps therapists grow thriving practices, without burning out. If you're overwhelmed, it’s time to do something different. Create systems to manage your time. Develop a happier, more productive team. When you’re ready to make a bigger impact, it’s time to evolve. Check out Katie’s Strategic Business Breakthrough (with special bonuses for Brighter Vision) right here!